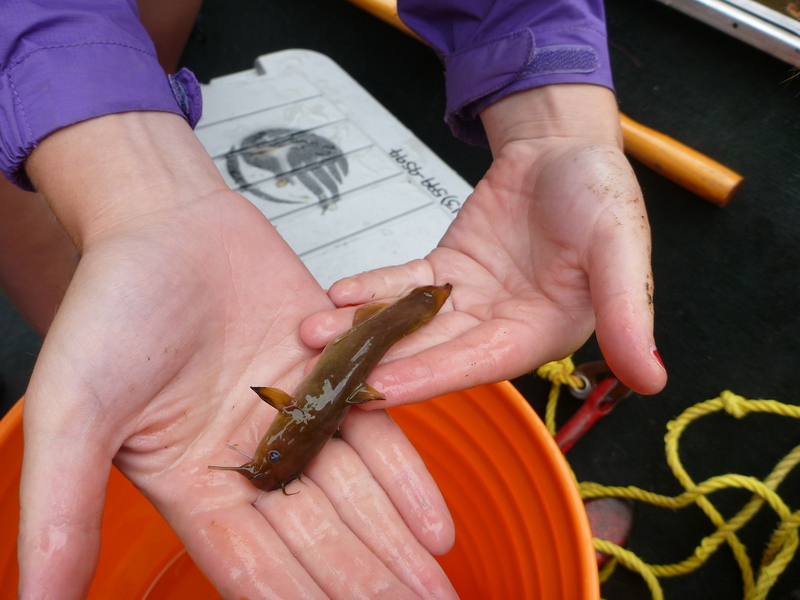 Our eel team is still busy wrapping up a great field season! 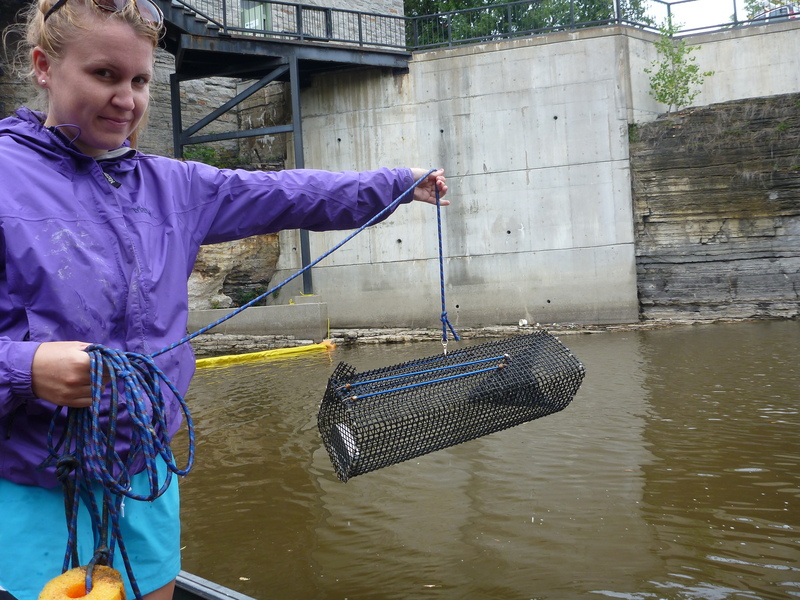 Most recently, we’ve had the opportunity to have some of the Ottawa Riverkeeper Riverwatcher volunteers join us for a half day to help pull traps and receivers and learn a little more about the Ottawa River eel project. We’ve been fortunate to have volunteers join us at both our Chaudiere falls and Carillon sites! 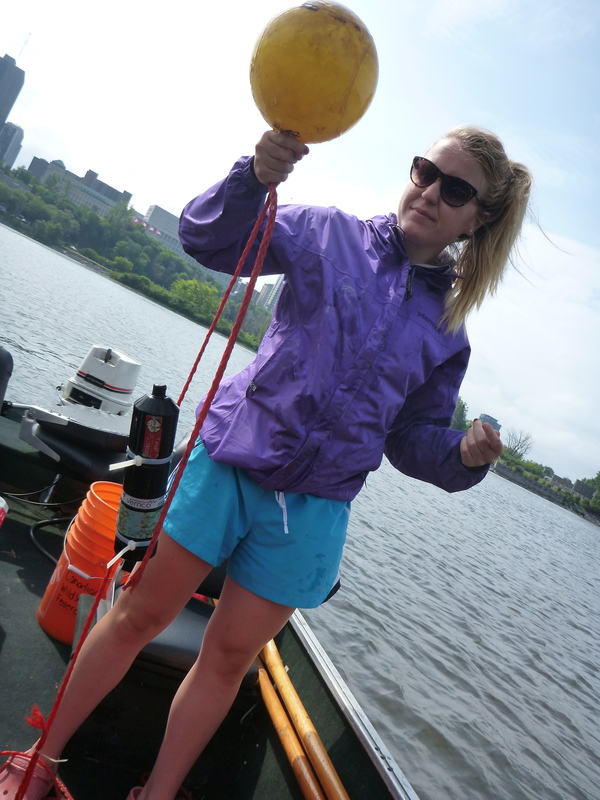 Here are some photos of when Jane joined us at our Chaudiere site to pull traps and receivers from our acoustic telemetry study – thanks for the photos Jane! Our traps in action! 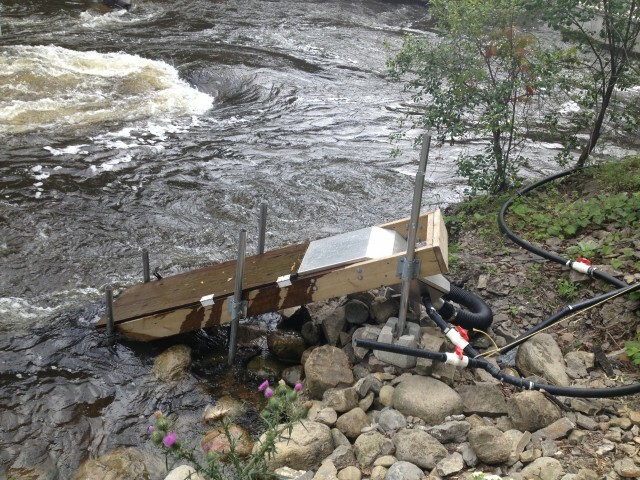 Deploying one of our traps into the river near the Mill St. Brewery. A close-up of one of the tags used to test the detection distance. Next year, we will be implanting tags into eels to monitor their movement throughout the Ottawa River, specifically at the Chaudiere falls location to determine which channels they are choosing and to have a better understanding of the most efficient location for an eel ladder. 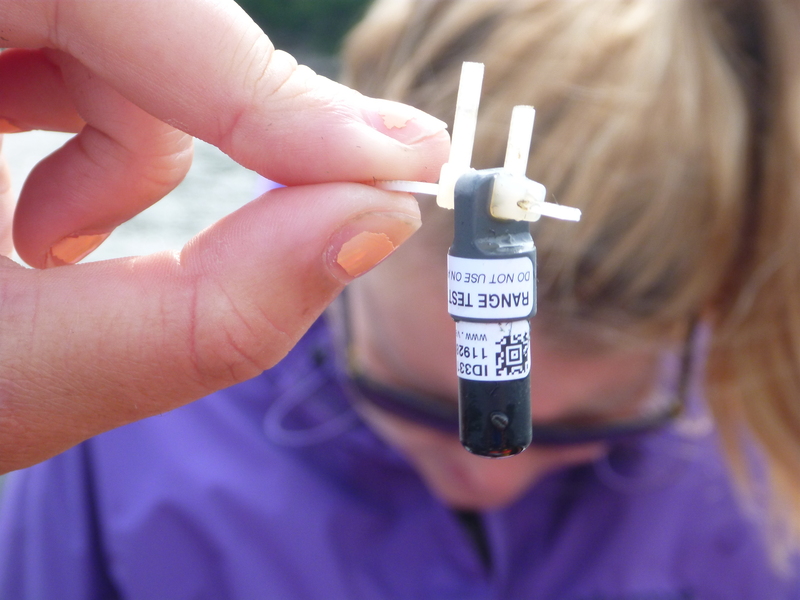 Here’s one of our acoustic receivers – its essentially a microphone that listens for signals from the tags. Each receiver is tied to a 25-lbs weight which helps it remain at the bottom of the river during testing. The yellow buoy is used to keep the receiver vertical in the water. Our catch of the day! This little bullhead was found in one of our traps right near the Mill St. Brewery! Our eel ladder is also up and running and is monitored regularly! The ladder is located at the outflow of the City of Ottawa’s Fleet Street Pumping Station and can be seen from the bike paths located off of Wellington Avenue. The eel ladder located in the kayak channel near Fleet St. in hopes to attract and catch eels. Our work around the Arnprior and Lac des Chats area is still ongoing! Eric Smith and the Arnprior and District Fish & Game club have been monitoring some adults that were previously implanted with radio tags. Eels are first tracked by plane to determine their approximate location and then track via boat to determine their exact location. All tracking was done in the evening, between 5-9PM. We managed to find 3 eels before it got too dark to continue tracking. Good to see that these individuals are still in the area! 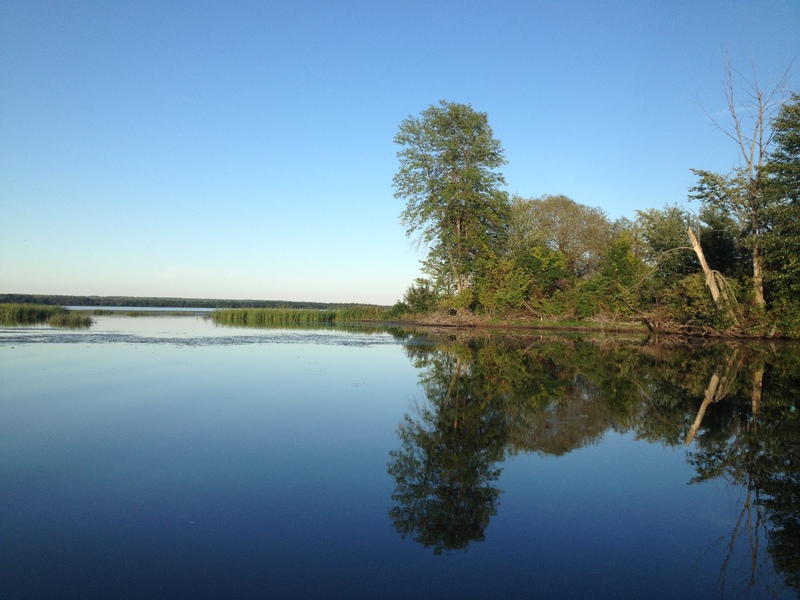 Heading out from the Bonnechere River to Lac des Chats for an evening of night tracking! 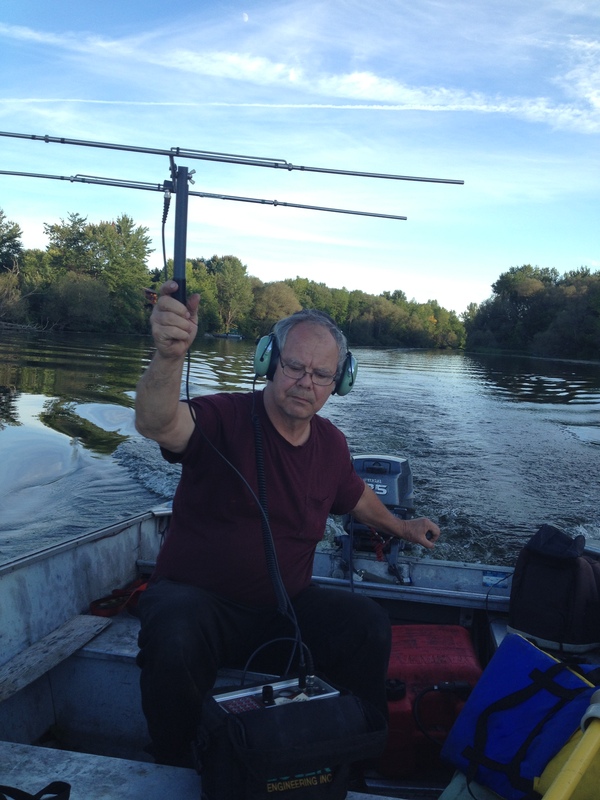 Eric Smith, a volunteer from the Arnprior and District Fish and Game Club multitasking – driving the boat and listening for any detections of eels using radio telemetry! Feel free to leave us a comments and questions below if you have any questions regarding our project! We’re Learning More About The Fungus That Causes White-nose Syndrome!